If you needed any more proof that we’re in the midst of a revolution in personal transportation, check out the Solowheel Iota; yet another self-balancing, electrically powered, awesome piece of rideable technology. 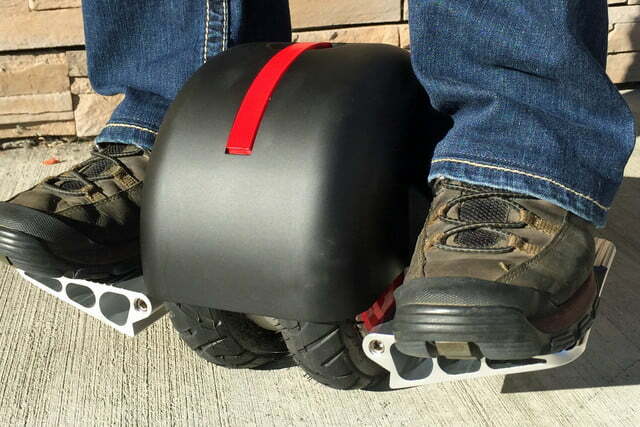 It’s from the same guy that invented the Hovertrax (the original “hoverboard”), and the original Solowheel (one of the first self-balancing unicycles), and is smaller and more portable than any of his previous creations. With 8-inch wheels and a weight of only 8 lbs., the Solowheel Iota promises to be the smallest, greenest, and most convenient vehicle of its kind. Did you know it’s possible to scramble an egg inside its shell? The trick is in agitating the yolk and whites by rapidly spinning the egg back and forth — which is actually pretty tricky to do. Up until recently, the best method involved a t-shirt, some rubber bands, and a whole lot of effort, but now, thanks to the miracle of crowdfunding, there’s a machine that can do it for you. Described as a “hands-free kitchen gadget for making perfect golden eggs,” the Orbi promises to “smoothly scramble the contents of an egg in the shell.” The best part, though, might be in the timing. 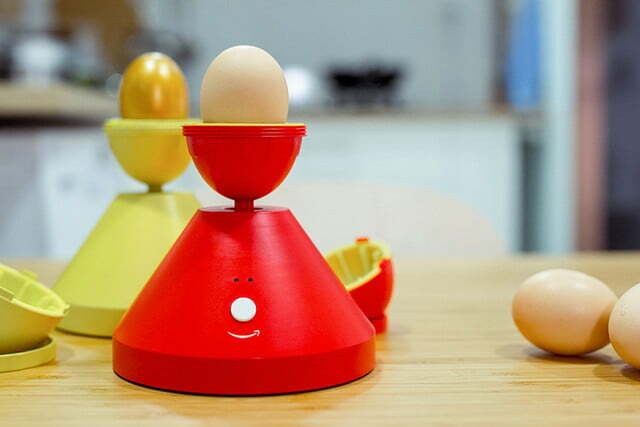 According to the device’s creators, it can produce perfect scrambled eggs — in the shell– in just 20 seconds. The Orbi works by quickly rotating an egg back and forth, mixing the egg whites and yolk within the eggshell without ever introducing it to the elements outside its environment. This, Orbi claims, keeps the flavor profile fresh and also eliminates any cleanup. Almond milk is the bee’s knees. Not only is it healthier for you and your body, but it’s also far less damaging to the environment than milk produced by dairy cows. The only problem? It’s often packed with sweeteners and preservatives, and isn’t terribly cheap. But not to worry — the Almond Cow is here to save the day. 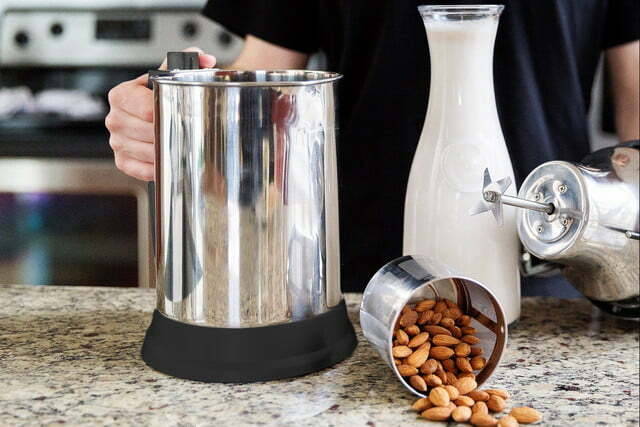 With this little appliance, you can easily make almond milk right in the comfort of your own home and, more importantly, control what does (or doesn’t) go into it. In terms of operation, it’s much like a blender and a juicer rolled into one. You start by soaking your almonds overnight followed by dumping them into the machine. The Almond Cow slices and blends almonds (and other hard tree nuts) in a matter of seconds with a spinning blade. While it does that, the device also mixes water with the blended creation, nabbing all the nutrient goodness that’s liberated from the almonds. Once the blend finishes, you’re left with nearly 1.5 liters of fresh, ready-to-drink almond milk. Programmable robotic arms aren’t really a new thing at this point. Take a stroll through Kickstarter or Indiegogo and you’re bound to stumble across at least half a dozen of them, but the uArm brings something new to the table. Unlike most other robo-arms, this one doesn’t require any kind of advanced programming knowledge or coding skills. 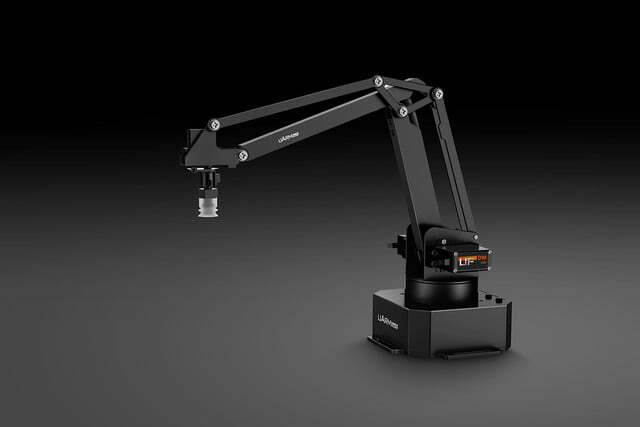 Users can tell it how to move and behave with simple drag-and-drop programming on the uArm’s accompanying software. And if that’s too complicated, you can even just move it around manually and tell it to replicate the motions you create. The device’s creators built it with a “muscle memory” function, which records movements you input by physically moving the robot’s arm, saving them, and then repeating them whenever you tell it to. So in addition to things like playing games, laser engraving, and object sorting, the uArm can also be used for more simple tasks like stirring your soup while it cooks on the stove top or flipping a light switch. The possibilities are only limited by your imagination. Drones have come a long way in the past few years, but now that manufacturers have managed to stuff them with all the bells and whistles we could ever want, the race is on to shrink them down and make them more portable. Thanks to the proliferation of smartphones, compact sensors, cameras, and processors are more accessible than ever; and now those same components are being used to build a new generation of ultra portable, but still very capable, mini drones. Selfly is the latest addition to this burgeoning category. 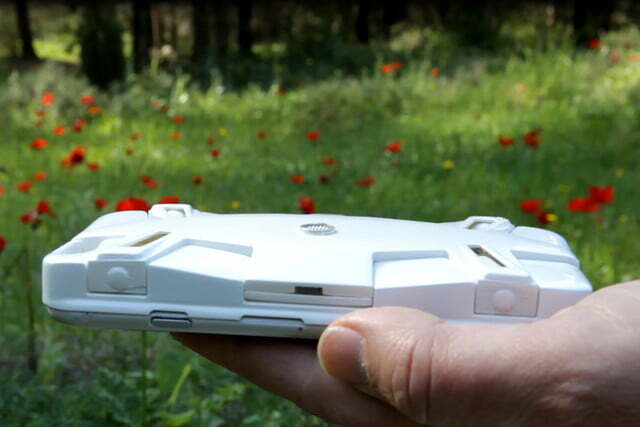 It’s a selfie drone, which isn’t a novel idea at this point, but what makes this one special is that it’s built into the back of a smartphone case. The idea seems to be that, if its attached to something you already carry around, you’re far more likely to have it with you when you really need it. To fly the drone, just toss it in the air, steer it into place using the accompanying smartphone app, and start snapping pics. With an integrated camera that shoots 8MP stills or 1080P HD video, it’s basically a flying photographer that fits in your pocket.